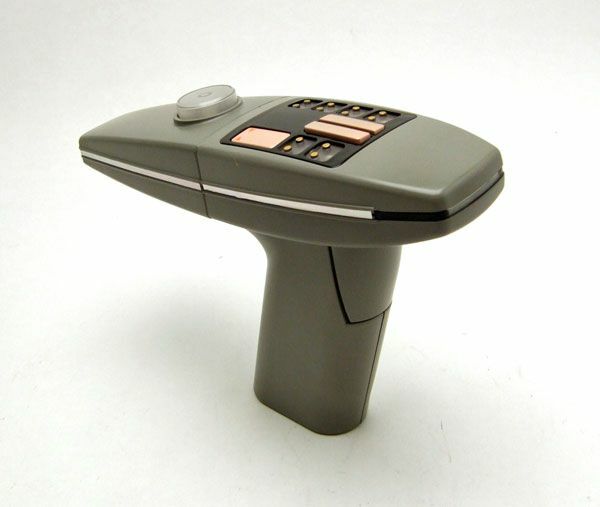 The Rundown: The TWOK phaser from DST was one of my favorite Trek toy purchases in years (you can read my original post on it here). 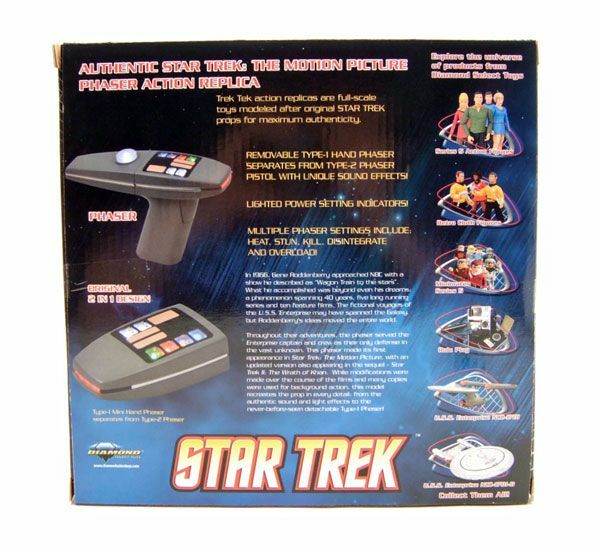 The electronic features and sleek design are top notch and easily elevate the piece from a mere toy into the "prop replica" range. So when DST announced they'd be using the mold to do a TMP version, needless to say I couldn't get my credit card out fast enough to place my pre-order. Mine arrived shortly before Christmas... How does it stack up against the TWOK version? Let's look! 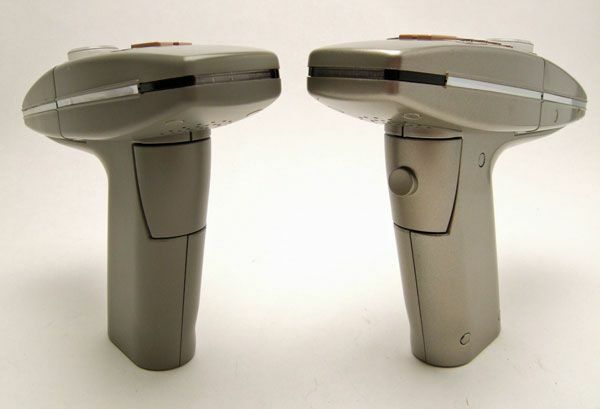 Both phasers feature the same great electronic features, so the only real differences in the two are in appearance. The TWOK style phaser features a shiny metallic silver finish while this new TMP version is molded in a flat gray color. Oh! Before I forget... I didn't notice when I reviewed the TWOK version, but the handle actually has "pinky indents" just like the real prop! They are easy to miss (obviously), so it's pretty cool that DST took the time to include them. The next difference is in the trigger. 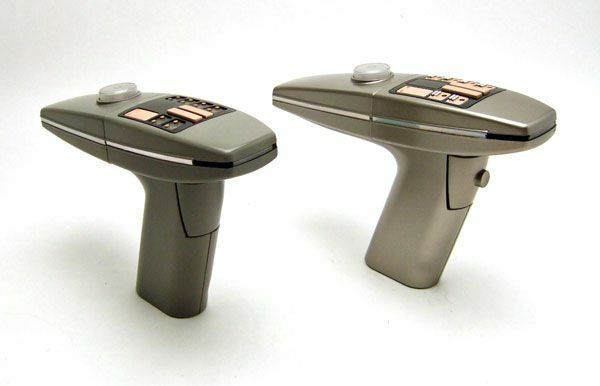 The new TMP style phaser features a flat trigger that lays flush with the handle while the original TWOK version has a raised circle in the middle. Pretty sweet! Had DST just left the lights the same, I'd have a hard time pushing an additional purchase on this... but with the addition of the different colors, I have no problem giving this one my recommendation. It was a great piece the first time, and it may be just a bit better on this go round! 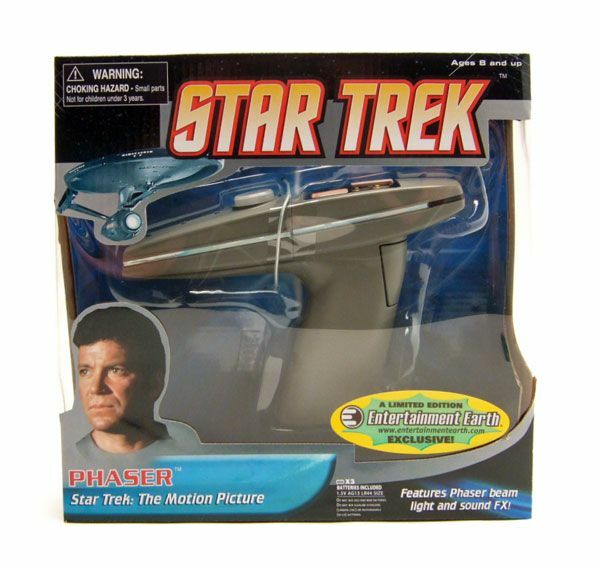 You can pick up the phaser for $29.99 right here from the fine folks at Entertainment Earth! James, another fun look at a great new collectible. I WANT ONE! 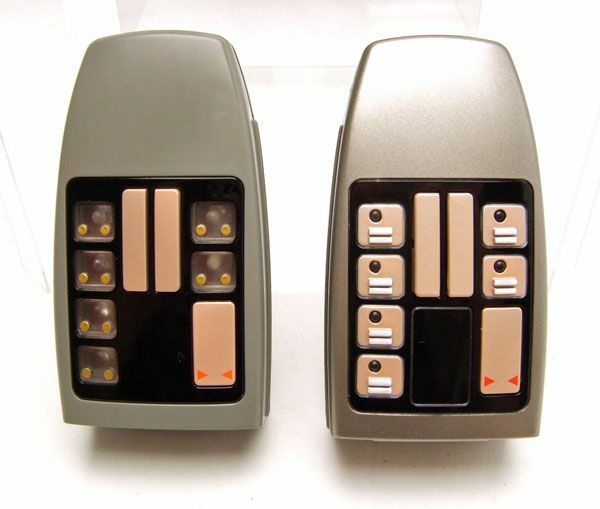 I've always loved the TMP/TWOK phasers. Have you ever read or heard WHY they made such subtle changes between the two films? BTW, TMP doesn't get as much love as the other films and unjustly so IMHO. Well, I've heard that the first one was molded in the same gray color as most of the uniforms so that it would blend easily. Not really sure why you'd want it to blend though... I'd assume that they snaged it to silver due to Nicholas Meyer's hatred of the pastels of the first movie. That's all guesswork by me though. And I TOTALLY agree with your take on TMP! I really love that movie. You can see Gene in that one more than any other film, just like you can see him more in "The Cage" than any other episode. TMP is the kind of "cerebral" Trek that he first offered way back then. Oh, and I don't think any film has ever touched the beauty of those effect sequences.